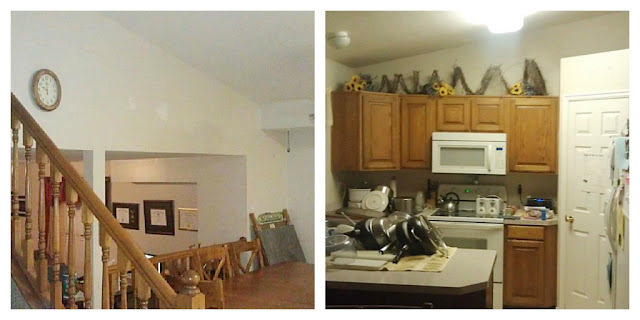 Today is the last day in my brother's mini house makeover! 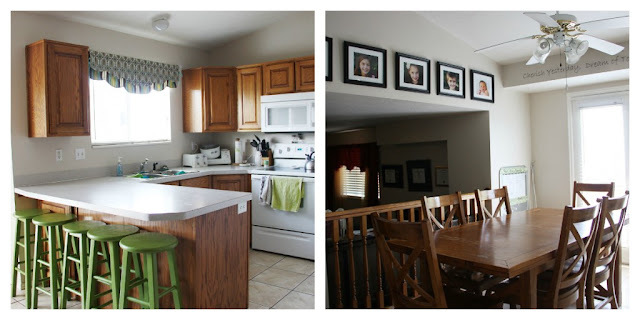 I'm going to show you his kitchen and dining room. 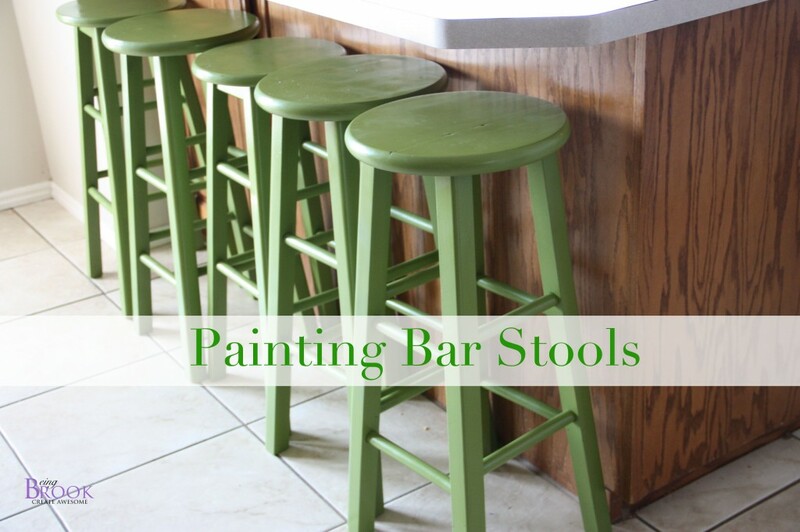 The biggest project in the kitchen was painting his bar stools. This was the kitchen/dining room before. 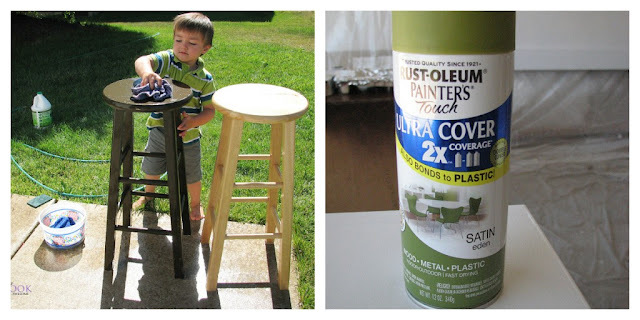 My cute nephew helped scrub down all the barstools. My brother added barstools as they had more kids so not all of them were the same color or height but we made them go together with some spray paint! 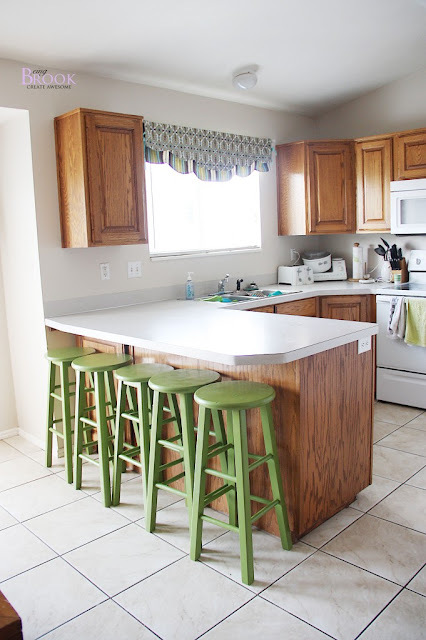 I used Rustoleum Painters Touch spray paint in Eden, the same color as the Simple Bench in the entryway. I did two coats of paint on each stool. They turned out so great and look like new! My Mom sewed the super cute curtains with Premier Prints fabric in chocolate/natural. The same fabric as the entryway and living room since the house has an open floor plan and the rooms can be seen from each other. The dining room got a little gallery wall (all the frames were from Walmart and were like $5 each!) and some vinyl above the doors going outside. Love the rooms now! You don't have to change everything to improve a room. Just start with a few little things! 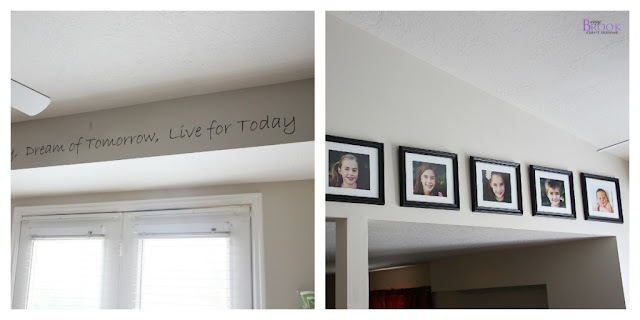 I had so much fun on the little makeover at my brother's house!